Planning Your Hike - There is an old saying that goes something like this, “Those who fail to prepare, are preparing to fail”. For a safe and enjoyable hike, proper preparation is essential. One of the first things to do is to check the weather forecast for the area you are going. A wise hiker will re-schedule rather than face the risks of a blizzard or a lightning storm or flood. Hiking solo always carries a greater risk, so it will probably be to your advantage if you can find a good partner or group. Please make sure you study good maps of the area you are going in to - terrain, topographical and satellite maps in particular. It never hurts to check ahead with the agency that manages that area. They might be doing a prescribed burn, or there might be some current problems with “snags” (fallen timber), or some other hazard not normally there. 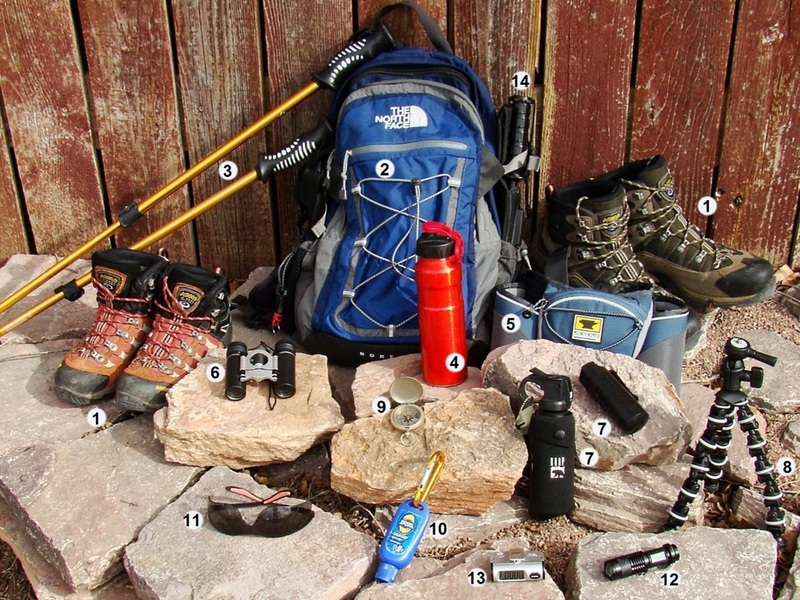 Make sure you pack all the equipment you will need for the kind of hike you are doing. Also, be sure to factor safety into your plans (please check out our Hiking Safety page). It is also very important that you share your hike plans with a very responsible person. These plans should include EXACTLY where you are going and the route to be used, plus when you will check back in with them. If you cannot find a responsible person to share your plans with, contact the sheriff’s department in the county you are hiking in. Or, you can file your plans with Trailnote.com. 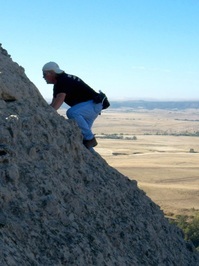 Hiking Ethics - Most hikers are conscientious and considerate. There are some common standards of ethics practiced by good hikers. These things would include: making sure to obtain permission to hike on private property; respecting the solitude and peacefulness of the surroundings by not shouting, or playing music loudly, or setting off fireworks (also a great fire hazard and usually illegal); being courteous to other hikers, including giving uphill hikers the right-of-way on trails; not snapping tree branches back on hikers following; not defacing rocks, trees, signs, etc. ; stopping to assist another hiker in need; and being careful to protect the environment – please pack out what you pack in. Groups of hikers need to remember the rights of other hikers and allow them to pass. Also, please be aware that in many places, bringing back “souvenirs” may cost you more than you realize, when you get caught and have to pay a large fine. Equipment - There is a large variety of equipment that hikers select from in planning any hike that will last for at least several hours or longer. These things would include, but not be limited to: plenty of water, a belt pack or backpack to carry gear in, compass, good trail map(s), sunscreen, insect repellent, lip balm, light rain gear, a super lightweight space blanket, extra clothing if it is cold out, a hat, sunglasses, first aid kit, matches or lighter in a waterproof case, knife and food. Other popular gear would include cameras, GPS equipment, a radio for weather updates, cell phones, small flashlight, hiking poles, binoculars and a whistle or some other kind of loud noisemaker. Cheap and lightweight emergency gear can include tin foil (to fashion water cups or for cooking or for a reflector), plus some large trash bags (orange is best) to use for makeshift rain gear. Some hikers that go into areas where there are mountain lions, coyotes, or other unfriendly animals, will carry pepper spray, air horns or even pistols. Those planning an overnight hike will need to carefully pack in all their overnight gear. If you are hiking when it is colder, some extra layers of clothing will help you properly adjust for the varying temperatures you will encounter. 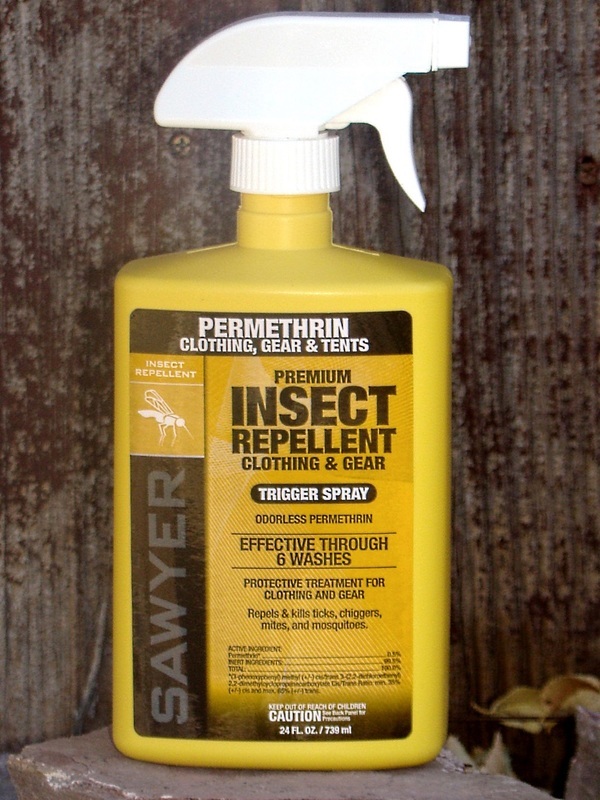 Shorts may be popular and stylish, but long pants do a better job of protecting your legs from scratches and scrapes, plus if they are properly coated with Permethrin, you will have much better protection from ticks, wasps, mosquitos and spiders. Camouflage may also be stylish, but if it is being worn by kids prone to being lost, it could be a detriment. The same goes for a solo hiker, or hikers on the trails during hunting seasons. It can definitely be to your advantage to be clearly seen. Dogs - This could (and should) go with hiking ethics. Please keep your dog on a leash and under control. On most trails, this is the law. It is not cute when a dog snaps and snarls at, or even bites another hiker. Even if it is your dog, it does not mean he has a “free pass” from the hiking ethics all of us need to observe. And your dog will not enjoy being pepper-sprayed (or worse) for attacking innocent hikers. Please be aware of the fact that it is legal in most places in the Black Hills (except state parks) for hikers to carry guns for self-protection. And we have observed that many do pack pistols. So, for the well-being of your dog and other hikers, please keep them under control. Also, please clean up and pack out any droppings your dog might otherwise leave behind. For those with genuinely friendly dogs, here is something to consider: Not everyone has a great sense of balance. That may be especially true of those you see with hiking poles or a cane. A friendly dog that jumps on such a person (or small child) could actually cause them injury. If the trail you are on allows dogs, please do your part to preserve that freedom by being responsible and keeping your dog under control. It always seems like freedoms are lost when they are abused. Foot Care - Blisters are a common problem for hikers. It's far better to avoid blisters, than to have to deal with them during or after the fact. Good, sturdy, but comfortable footwear is a must. It’s not a good idea to use a long hike to break in a new pair of hiking boots. One must understand that a sweaty foot is more prone to blisters. Hikers can approach this in several ways. One method that works well for many is to generously coat the toes, and balls of the feet if necessary, with Vaseline. Others prefer specially designed socks that wick moisture away from the feet. Some like foot powders to keep their feet dry. Some hikers do several changes of socks on long hikes. A serious hiker will find what works best for him or her, and stick with that. If you do develop a blister during the hike, moleskin is a good way to treat the blister and keep it from getting worse. Getting Lost – No one likes to think they could get lost. But it happens more often than most people realize. There are long articles online that go into great detail on how to handle many of the things encountered when one is lost. Most people do not remember all that. So, a few simple things to remember if you do find yourself lost: 1. If you can safely do so, stay where you are at. Do not get yourself “even more lost”. 2. Make yourself a warm, dry shelter. 3. Be heard. Of course, if you do not properly prepare for your hike, accomplishing even these three steps will be difficult. Your emergency gear should include water, some food rations, a whistle, flashlight & batteries, matches or lighter in a waterproof container, trash bags, lightweight space blanket and some tin foil. If you have properly prepared for your hike, whoever you filed your hike plans with will start the search process when you do not check in at the prescribed time. Maps - By far the best online resource we have found, is Lists of John. This website provides free information and memberships with no strings attached. Not only does it cover the Black Hills - Badlands region, but most other summit locations across the USA. When you access Lists of John, you can use its navigation to go to all the listings for the Black Hills in South Dakota or Wyoming, plus the Badlands summits. Using the map coordinates center marker, you can switch between topographic, satellite, historic or Google terrain settings to give you a much better "look" at any area you are considering hiking into, plus you can zoom in for closer looks. This site is clearly the most useful hiking preparation site we have found. Lists of John is funded entirely by donations, and if there is any hiking/climbing site worth making a donation to, List of John is it! Climbing - The hiking routes for the summits, canyons and trails featured in Tread & Soul do not require any climbing skills greater than Class 3 scrambling. For those unfamiliar with the four classes of scrambling, clicking on the climber photo link at the right will take you to a YouTube video presentation on the four classes of scrambling, which would generally coincide with what we understand the classes to be. We do not advocate hiking and climbing any summit that requires Class 4 scrambling, due to the risks for serious injury or death if ropes and other protective gear are not used. Two summits that might fit that description would be Elkhorn Mountain and Old Baldy Mountain (the one behind Mt. Rushmore). Please understand that there is not universal agreement among hikers and climbers for exact definitions in scrambling and technical climbing classes. Opinions do vary and sometimes those differences are heated. Please know that we are trying to encourage relatively safe and fun hikes. Those who desire something more challenging might want to contact either of the two rock climbing schools through the links in our Resources page. 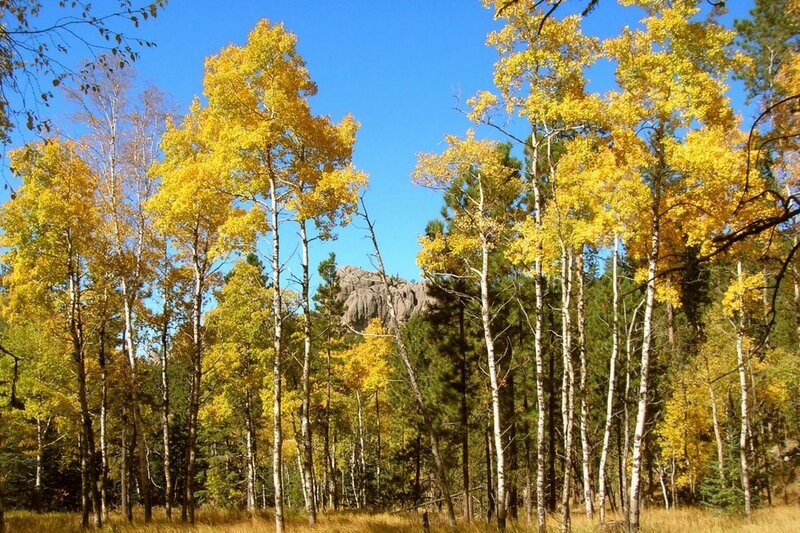 For our recommendations for 12 great Autumn Colors hikes in the Black Hills, click on the photo link at the left.